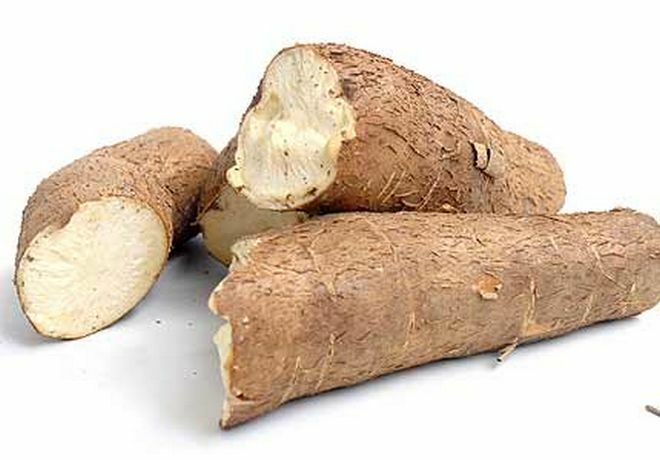 LAGOS, Nigeria – Three newly improved vitamin A cassava varieties with yellow roots, have been released by the Nigerian government, stepping up efforts to tackle the problem of vitamin A deficiency especially among women and children in the country. These new varieties were developed jointly by the International Institute of Tropical Agriculture IITA and the National Root Crops Research Institute (NRCRI), the IITA said in a press statement copied to the GNA. The three varieties, UMUCASS 44, UMUCASS 45, and UMUCASS 46 are the second in the series of pro-vitamin A varieties released in the country, and are commonly known as NR07/0220, IITA-TMS-IBA070593, and IITA-TMS-IBA070539. Dr Peter Kulakow, IITA Cassava Breeder, said that the development of the varieties demonstrates strong collaboration between scientists at NRCRI and IITA, which benefits Nigerian farmers and especially women and children who suffer from vitamin A deficiency. Afflicting almost 20 per cent of pregnant women and about 30 per cent of children, under the age of five, vitamin A deficiency results in stunting in children, and predisposes them to sicknesses such as diarrhea and measles, and even premature death. In pregnant women, vitamin A deficiency results in night blindness and increases the risk of mortality. Measures to address this deficiency include dietary diversity, fortification, supplementation, and now bio-fortification. In 2011, researchers from IITA and NRCRI, with funds from HarvestPlus developed the first series of biofortified pro-vitamin A cassava varieties to help reduce the incidence of vitamin A deficiency especially in the rural communities. Prior to their release, participatory varietal trials involving farmers were conducted across 10 states in Nigeria, the world’s top cassava producer, cutting across the different agro-ecological zones. The development of these newer set of pro-vitamin A varieties demonstrates that plant breeders were not resting. Dr Hernan Ceballos, cassava breeder from CIAT in Colombia has developed biofortified germplasm that IITA breeders are actively using in crosses to select for even higher beta carotene germplasm.